It is expected that the pupils will have regular lessons, normally at least 1 per week. All matters relating to the timing, location and duration of individual lessons shall be subject to an agreement between 1st Pass Driving School instructor and the pupil. Cancellation also includes if the duration of the lesson is changed, e.g. 2 hours to 1 hour, or 1 and a half hours to 1 hour. Any block booking has a discount attached to it. The hours have an expiry date of 3 months from time of purchase. Any block booking refund will be at the discretion of your instructor. If a deal is terminated before completion, then the lessons received so far will be charged at the full hourly rate. After purchasing online or by telephone, you will receive gift vouchers entitling the holder to driving tuition with 1st Pass Driving School. All vouchers have an expiry date of 3 months from the time of purchase. Lessons must commence before the expiry date. Once you are ready to book your first lesson, please telephone and 1st Pass Driving School will arrange your start date to commence your lessons. Lessons can be taken by the hour, 1 1/2 hours or 2 hours at a time. Gift vouchers are non transferable. 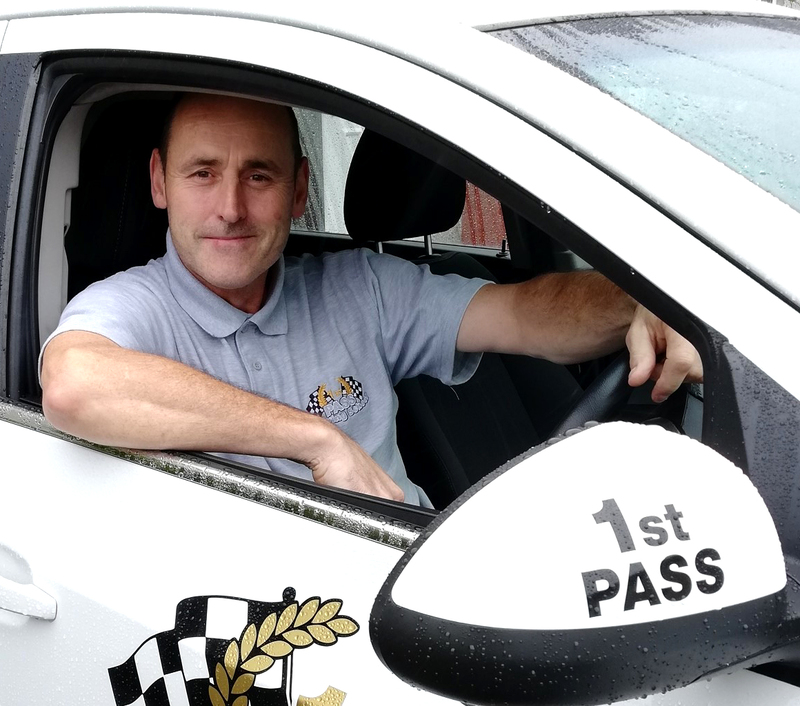 Following receipt of a fully paid order for driving lessons, 1st Pass Driving School will contact you generally within 24 hours to arrange driving lessons, unless you are already taking lessons with us. If this is the case your vouchers will be sent to you via the post. We accept all major credit, debit cards and PayPal. Only one Special Offer will be granted per pupil. All of our special offers are targeted at beginner drivers, who have never driven before and will start with the basics. Should you receive vouchers at a discounted rate and not be a beginner driver, you will need to pay the difference directly to your instructor. Must be paid for in advance to receive a discount. Once an intensive driving course is booked and paid for via our web site, or over the phone or directly to the driving instructor, no refund of the payment will be returned to the purchaser. The booking is a binding contract between the instructor and pupil, once paid, you have agreed to the contract, which we have booked and accepted with our instructors. Following receipt of payment, you course vouchers, pupil book and welcome letter will be sent to you via royal mail first class post or by email if preferred . If you do not receive this within 5 working days, you must notify 1st Pass Driving School immediately . You must hold a current, valid driving licence, provisional, full or international and produce it on your first training session. You must be fit and well to drive with regard to legal and medical requirements. Must be made 48 hours before the time of the lesson or the full lesson fee will be charged. The instructor reserves the right to cancel a lesson at short notice if it is suspected that the pupil may be unfit to drive due to the effects of alcohol, drugs (prescribed or otherwise) or any other condition that would cause his/her driving to be illegal. In such circumstances the lesson fee will be chargeable. Your instructor reserves the right to postpone lessons in certain circumstances i.e. dangerous weather conditions, mechanical breakdown or illness. In the event of postponement, fees paid in advance will be carried forward and Lesson rescheduled. The instructor reserves the right to withdraw their car for tests without notice should the pupil prove not to be of a test standard. While your instructor will make every effort to ensure that the vehicle supplied for test will be fully road worthy and comply with all legal requirements at the start of the test, he/she cannot be held responsible for vehicle failure that occurs during the test and is not liable for consequential loss. Your instructor cannot be held responsible for test appointments cancelled by the DSA due to bad weather, sickness, staff shortages or other reasons. Such cancellations are beyond the control of your instructor and therefore the lesson fee and ´use of car´ fee for the booked period will be charged. Terms and Conditions are stated to avoid misunderstanding and do not affect your statutory rights as a consumer. 1st Pass Driving School is run by myself Robin Lenihan. I have helped many pass their Driving Test over the years in the Johnstone, Paisley, and Renfrewshire area. My goal is to help you reach an excellent standard of driving so you have the best chance of passing your Driving Test.